Thames & Hudson, 9780500239605, 332pp. 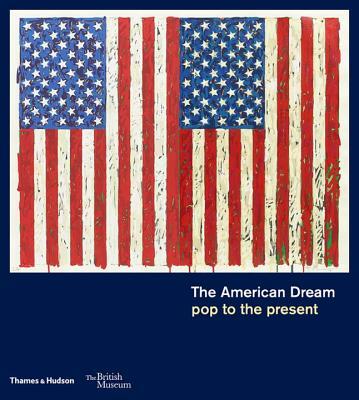 The American Dream: pop to the present, published to accompany an exhibition at the British Museum, presents an overview of the development of American printmaking since 1960, paying particular attention to such key figures as Andy Warhol, Jasper Johns, Robert Rauschenberg, and Ed Ruscha as well as Louise Bourgeois, Kara Walker, and Julie Mehretu. With more than 200 key works by nearly seventy artists, this fully illustrated publication traces the creative momentum in American printmaking over the past six decades--from the moment pop art burst onto the New York and West Coast scenes in the early 1960s, the rise of minimalism, conceptual art, and photorealism in the 1970s, to the different responses of artists working today. Using innovative techniques and appealing to a wide audience, American printmaking was the ideal medium to express the USA's power and influence, and to highlight contentious issues such as race, AIDS, and feminism.